We can provide everything from charter services to facilities for owner/operators. We have a heliport that is vetted by the CAA, the monitoring of the blind call frequency, refuelling (Jet A1 Fuel only) and fire cover. We also provide shuttles to and from the festival site for passengers (less than 1km) and direct transfer to backstage for bands and other performers. If you simply wish to miss all the traffic and arrive in style, you can arrange flights by calling Polo Aviation. 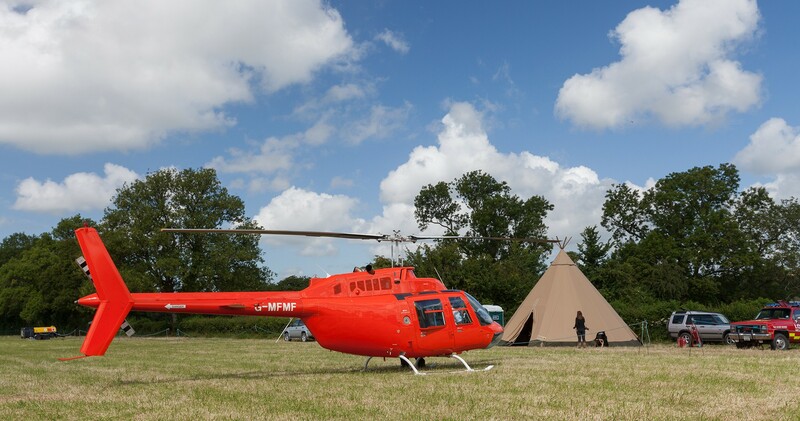 Similarly, if you are either a manager wishing to arrange transport for your artists, a charter operator, or simply arriving in your own helicopter please email mail@poloaviation.com or call Polo Aviation on 01934 877000. Landing fees and parking fees are in line with the industry guidelines. For a long time now we have done what has become known as the Bristol Shuttle. 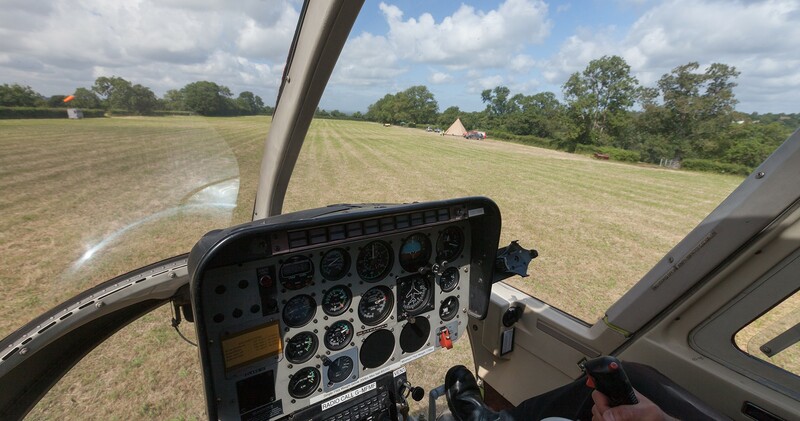 That’s when you park at Bristol, jump in a chopper and land at Windinglake close to your accommodation. At the end of the festival it’s the same in reverse, all for the princely sum of £800+VAT return per person (Min 4 pax). Since the fence was erected and the Gates are now open at 9 pm on Tuesday the traffic chaos which we all grew to dread has been diluted. We will, therefore, be running the Bristol Evacuation which works the following way. You drive to Bristol, park your car, jump in one of our cars with one of our drivers and are driven to Windinglake. However, on the Monday when approximately 170,000 festival goers all want to leave the site by car, we fly you over the traffic back to your car, you then drive home with some great pictures and not a hint of road rage! 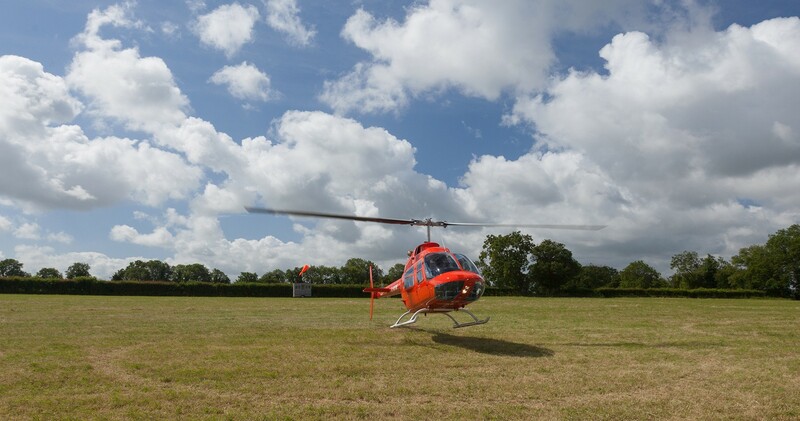 Again, all for the princely sum of £800+VAT per person (Min 4 pax) Please contact Polo Aviation for prices on 01934 877000 or email on mail@poloaviation.com.